LEXUS ISII 200D & 220D 2.2 2231cc DIESEL MODELS FROM 2005-2013. 1 Chain (simplex bright link), 1 Tensioner, 1 Cam Gear, 1 Crank Gear,1 Tensioner Rail, 1 Guide Rail. This kit is suitable for single cam sensor sprocket models only. FOR LEXUS GS300. Part specifications. This is an original quality part manufactured by Blue Print. Number Of Ribs:7. Vehicle compatibility. FOR LEXUS RX400h. Number Of Teeth:211. Vehicle compatibility. Multiple choices exist for:LEXUS RX300 3.0 Timing Cam Belt Kit. FOR LEXUS RX300. PART CHOICE ALERT. Vehicle compatibility. This is an original quality part manufactured by Blue Print. FOR LEXUS IS200. Number Of Teeth:129. Vehicle compatibility. FOR LEXUS SC430. Vehicle compatibility. FOR LEXUS GS430. Vehicle compatibility. FOR LEXUS IS220d. Part specifications. This is an original quality part manufactured by Blue Print. Number Of Ribs:7. Vehicle compatibility. Multiple choices exist for:LEXUS LS400 4.0 Timing Belt Cam Belt. FOR LEXUS LS400. Part specifications. Vehicle compatibility. This is an original quality part manufactured by Blue Print. FOR LEXUS LS430. Part specifications. This is an original quality part manufactured by Blue Print. Number Of Ribs:6. Vehicle compatibility. FOR LEXUS ISF. Part specifications. This is an original quality part manufactured by Blue Print. Number Of Ribs:6. Vehicle compatibility. Multiple choices exist for:LEXUS RX300 3.0 Auxiliary Drive Belt. FOR LEXUS RX300. PART CHOICE ALERT. Part specifications. This is an original quality part manufactured by Blue Print. Multiple choices exist for:LEXUS LS400 4.0 Timing Cam Belt Kit. FOR LEXUS LS400. PART CHOICE ALERT. Vehicle compatibility. APEC BRAKE DISC & PADS KIT. BLUE PRINT TIMING BELT KIT. CONTITECH TIMING BELT. LEXUS LS (UVF4_, USF4_) 5 600h. GATES TIMING BELT KIT. APEC BRAKE CALIPER. APEC BRAKE HOSE. APEC BRAKE MASTER CYLINDER. Multiple choices exist for:LEXUS IS200 2.0 Auxiliary Drive Belt. FOR LEXUS IS200. PART CHOICE ALERT. Part specifications. This is an original quality part manufactured by Blue Print. Timing Chain fits LEXUS CT200H ZWA10 1.8 2010 on ADL. LEXUS CT (ZWA10_) 200h (ZWA10_) Hatchback Petrol/Electro 12/2010 on FWD 16 99 73. CALIBER KCC046. Chain Type Simplex; Closed chain. Number of Chain Links 52. FOR LEXUS LS430. Vehicle compatibility. APEC BRAKE DISC & PADS KIT. BLUE PRINT TIMING BELT KIT. CONTITECH TIMING BELT. GATES TIMING BELT KIT. APEC BRAKE CALIPER. APEC BRAKE HOSE. APEC BRAKE MASTER CYLINDER. APEC WEAR INDICATOR, BRAKE PAD. Multiple choices exist for:LEXUS LS400 4.0 Timing Cam Belt Kit. FOR LEXUS LS400. Part specifications. Vehicle compatibility. This is an original quality part manufactured by Blue Print. Multiple choices exist for:LEXUS RX400 3.3 Alternator Air Con Belt. FOR LEXUS RX400. PART CHOICE ALERT. Part specifications. This is an original quality part manufactured by Blue Print. TOYOTA AVENSIS (ZRT27, ADT27) 2 D-4D. 2 Year Warranty FEBI Timing Chain. FEBI OE PRODUCTS. FEBI QUALITY STRUT MOUNT. 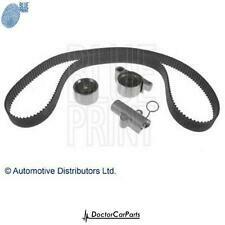 BLUE PRINT TIMING BELT KIT. CONTITECH TIMING BELT. GATES TIMING BELT KIT. APEC BRAKE CALIPER. (Reference TK90). Auris Hatchback, 1998cc, DOHC, 16V, Diesel, 124bhp 1ADFTV 12/2006 - 08/2010. Auris Hatchback, 2231cc, DOHC, 16V, Diesel, 175bhp 2ADFHV 12/2006 - 08/2010. Avensis Estate, 1998cc, DOHC, 16V, Diesel, 124bhp 1ADFTV 01/2009 -. FAI: TCK201, BGA: TC9130FK, ET ENGINETEAM: RS0059, FAI AutoParts: TCK201NG, FEBI BILSTEIN: 30669, IJS GROUP: 40-1207FK, INA: 553 0230 10, LUCAS ENGINE DRIVE: LKTC201, LKTC201-9, RUVILLE: 3469019, SWAG: 99 13 0669, TOYOTA: 13506-26010, VAICO: V70-0282, WILMINK GROUP: WG1432651, WG1725287. TOYOTA AVENSIS VERSO (_M2_) 2.0 VVT-i (ACM20_) 08-2001 -. TOYOTA AVENSIS Combi (_T25_) 2.0 VVTi (AZT250_) 04-2003 -. TOYOTA AVENSIS Saloon (_T25_) 2.4 (AZT251_) 10-2003 -. TOYOTA AVENSIS (_T25_) 2.4 (AZT251_) 10-2003 -. TIMING CHAIN KIT LEXUS IS II (_E2_) 200d (ALE20_) (2AD-FTV) 07/10-07/12 FAI Auto Parts TCK201NG. LEXUS IS II (_E2_) 200d (ALE20_) (2AD-FTV) 07/10-07/12. LEXUS HS (ANF10) 250h Saloon Petrol/Electro 07/2009 on FWD 16 150 110. CALIBER KCC046. Function Timing Chain. Chain Type Simplex; Closed chain. Number of Chain Links 134. LEXUS 135060H030, 135060H031, 1350628010, 1350628011, 1350628020, 1350628021. TIMING CHAIN KIT LEXUS IS II (_E2_) 200d (ALE20_) (2AD-FTV) 07/10-07/12 FAI Auto Parts TCK201. LEXUS IS II (_E2_) 200d (ALE20_) (2AD-FTV) 07/10-07/12. LEXUS HS (ANF10) 250h Saloon Petrol/Electro 07/2009 on FWD 16 150 110. CALIBER KCC046. Chain Type Simplex; Closed chain. Number of Chain Links 52. Function Chain, oil pump drive. LEXUS 135070H020, 1350728010. 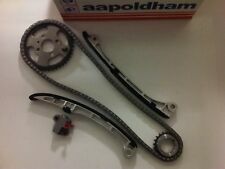 Timing Chain fits TOYOTA ISIS M1 2.0 2004 on 1AZ-FSE ADL. TOYOTA ISIS (_M1_) 2.0 VVTi MPV Petrol 07/2004 on FWD 16 155 114. TOYOTA ISIS (_M1_) 2.0 VVTi 4WD MPV Petrol 07/2004 on AWD 16 155 114. CALIBER KCC046. Febi Timing Chain Endless. Search “Bilstein Group Partsfinder”. Timing Chain Size: G68HPF. Timing Chain Size: G68HR. Chain Type: Closed chain. Chain Type: Simplex. Number of Chain Links: 112. BGA: TC9130FK, ET ENGINETEAM: RS0059, FAI AutoParts: TCK201, TCK201NG, IJS GROUP: 40-1207FK, INA: 553 0230 10, LEXUS: 13506-26010, LUCAS ENGINE DRIVE: LKTC201, LKTC201-9, RUVILLE: 3469019, SWAG: 99 13 0669, TOYOTA: 13506-26010, VAICO: V70-0282, WILMINK GROUP: WG1432651, WG1725287. TOYOTA PREMIO (_T26_) 1.8 (ZRT260) Saloon Petrol 07/2007 on FWD 16 136 100. TOYOTA PREMIO (_T26_) 1.8 (ZRT260) Saloon Petrol 12/2012 on FWD 16 143 105. TOYOTA ALLION II (_T26_) 1.8 (ZRT260) Saloon Petrol 12/2012 on FWD 16 143 105. FOR LEXUS IS250. Part specifications. This is an original quality part manufactured by Blue Print. Number Of Ribs:7. FOR LEXUS LX 470. Vehicle compatibility. FOR LEXUS GS250. Part specifications. This is an original quality part manufactured by Blue Print. Number Of Ribs:7. Vehicle compatibility. FOR LEXUS IS250C. Part specifications. This is an original quality part manufactured by Blue Print. Number Of Ribs:7. Vehicle compatibility. FOR LEXUS GS430. Part specifications. This is an original quality part manufactured by Blue Print. Number Of Ribs:6. Vehicle compatibility. Multiple choices exist for:LEXUS SC430 4.3 Auxiliary Drive Belt. FOR LEXUS SC430. PART CHOICE ALERT. Part specifications. This is an original quality part manufactured by Blue Print.